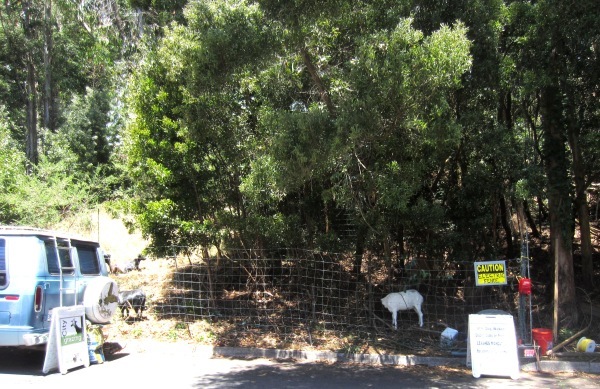 In response to concerns from neighbors on Christopher and Crestmont about poison oak at the forest edge, UCSF contacted the Department of Public Works (which takes care of maintenance by the roadside). 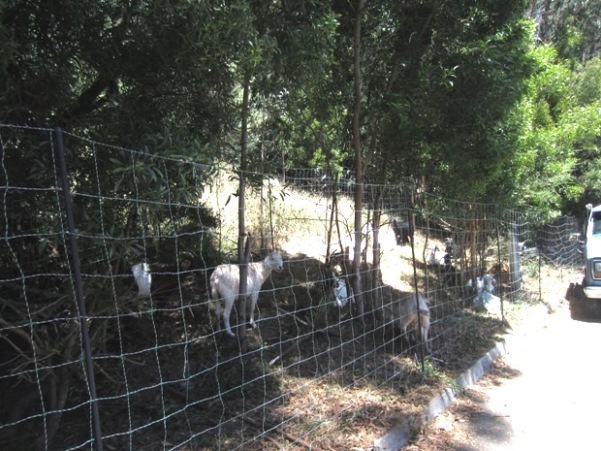 DPW responded with… goats! If you’re walking your dog by there, please be sure to leash him or her – they can scare the goats if they try to chase them, and an electric fence probably isn’t ideal for pets to crash into either. 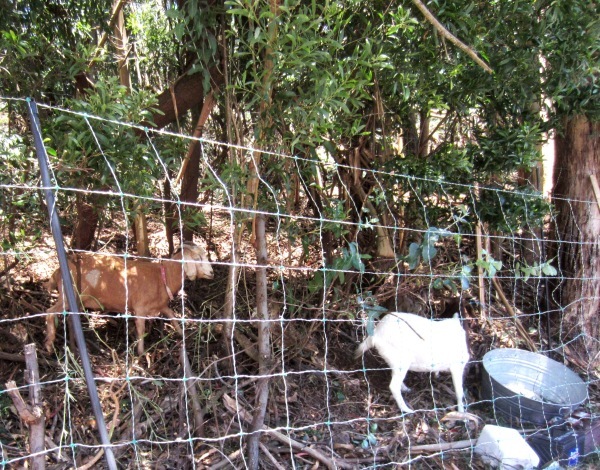 We wish they’d waited until the bird nesting season was over, but then again, neighbors do need the poison oak cleared. And goats are *tremendously* superior to Roundup, Garlon, or imazapyr – the toxic herbicides that are sometimes used instead. ← Did Someone Save the Squat & Gobble Trees? There is always going to be some birds that are nesting, as long as the birds aren’t nesting at ground level the goats shouldn’t bother them. Round Up, etc is not effective for poison oak control, it might kill the plants but the dead plant will still have the oil on it & when you get poison oak it is an allergic reaction to the oil. So the irritant is still there & now it isn’t as obvious because the plant is dead. Love goats. So glad they’re not using pesticides.